This is a sad story....Read below and you can draw your own conclusions. I have done the Olympic race before and this can be scary for someone who never swam in open water. I am not drawing any conclusions since they still do not know what happened but one thing they may need to considered is making this race smaller. The just added the sprint a couple years back to allow more to race but I think it is just to make more money since the price has gone up drastically in the past 5 years. I am for the sport of triathlons but when the focus goes away from the positive aspect of the sport to the negative aspects such as a death many questions are going to be raised. I will be anxious to see what the results are and how they will approach this race next year. Please feel free to leave your opinion. Summoned by a lifelong desire to excel, Derek "Rudy" Valentino entered the Schuylkill on Saturday in an amateur sprint triathlon to test and push himself. The 40-year-old Prospect Park mail carrier also wanted to show his two sons that hard work gets rewarded, a family friend said. His wife and one son gathered on the riverbank to cheer his efforts in the sprint race, a shorter version of a triathlon, which involves swimming, biking, and running. But Valentino disappeared after he went into the water at 8:22 a.m. Saturday. A search was launched after he failed to emerge by 9:40 a.m., and police found his body in the river on Sunday, nearly 34 hours after the start. The cause and manner of Valentino's death have not yet been officially determined. A source close to the investigation said that Valentino apparently drowned, but that it was not yet clear whether health conditions or other factors might have contributed to his death. The organizers of the Philadelphia Insurance Triathlon said Monday they would give Valentino's sons, Jordan, 15, and Ryan, 17, race-finisher's medals to honor their father and the goal he could not reach. "He always wanted to be the best he could be so he could be the best for his boys," said Samantha Savunikas, a family friend. "His boys admired him greatly for going after this goal." She added that St. Gabriel Roman Catholic Church in Norwood and the U.S. Postal Service were organizing donations to the family. Savunikas said that Valentino, nicknamed "Rudy" after the actor Rudolph Valentino because of his good looks, seemed to be in top condition. In addition to his own athletic pursuits, Valentino had spent years coaching and helping his sons in football, basketball, and baseball, she added. Valentino was entered in Saturday's sprint triathlon, which included a .47-mile swim, a 12.4-mile bike ride, and a 3.4-mile run. On Sunday, more experienced athletes took part in the Olympic triathlon, which normally includes a .93-mile swim, a 24.8-mile bike ride, and a 6.2-mile run. The swim leg of the race was canceled on Sunday. Participants in the triathlon were shocked when they learned that Valentino was missing. "The mood on Sunday for the Olympic was quite somber," said participant Deborah Chamberlain, 45, a human resources executive in Washington. "There was not much chatting or excitement. It was very quiet." Conditions for the race were fine, according to Jim Carney, 45, of Bala Cynwyd, who participated in the sprint triathlon and entered the water 14 minutes after Valentino did. "The current wasn't too bad," said Carney, who works in finance. "There was a little debris, like branches, in the water." Water flow was 700 cubic feet per second, "significantly less than average flow" of 1,100 cubic feet per second, according to Bob Hainly, assistant director of the U.S. Geological Survey's Pennsylvania Water Science Center in New Cumberland, York County. Carney said that the swimmers were not allowed to wear wetsuits. While wetsuits aid buoyancy, they are forbidden when the water is above 83 degrees because they would be too hot to wear, according to USA Triathlon, the official governing body of triathlons in the United States. On Saturday morning, the Schuylkill was 84 degrees, said Richard Adler, CEO of Philadelphia Triathlon L.L.C., which owns and operates the race. "It's a tragic accident," Adler said, adding that this was the first fatality in the six years of the race. Speculating on what might have happened to Valentino, triathletes said some swimmers succumb to exhaustion and black out. Others accidentally take in too much water when having panic attacks or sucking too much wind. Also, in the beginning of a swim race when athletes are packed together, participants can get hit or kicked. "People want to accomplish goals, and it can get difficult," said Julie Deery, 45, a Bala Cynwyd mosaic-tile artist who participated in four Philadelphia Insurance Triathlons, though not this last one. "Sports are dangerous. 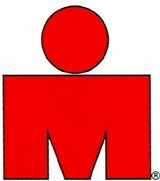 People die swimming, or in marathons. Something could always happen to any of us." This is just so sad and sobering. I've done 14 tris, Despite being a strong swimmer, I struggle to keep my cool in the water in every single race. I always find confidence when, during breathing, I can see the folks in kayaks keeping guard. I must admit that sometimes I feel like they are awfully far away or too far between each one. How can someone struggling for their life go unnoticed? Perhaps there needs to be a required and greater ratio of kayaks to swimmers. I am so sad for this family. I volunteered to help with the swim during the Philly tri last year - and I can tell you how someone slips under unnoticed. The start is very congested. Bodies are overlapping. It's especially scary if you are a slower swimmer, or a faster swimmer having difficulty, and you start up front. The faster swimmers behind you are forced to swim over you in order to avoid getting kicked in the face (quite painful - I can tell you from personal experience). The swim is no joke in these events. Lots of people can ride a bike for an hour. Lots of people can do the "run" by walking half of it... but swimming in a current with water sometimes entering your mouth/lungs instead of air is a whole different animal.